TikTok has been a massive success and according to Sensor Tower, it was the most downloaded social media app in the states during the first quarter. However, some see a security risk with the app. The Peterson Institute for International Economics called it a "Huawei-sized problem" this past January. Because of its popularity with those in the armed forces, and the fact that the app can obtain location and biometric data, there is concern that the Chinese company that owns the app could be forced to send such information to the communist Chinese government. 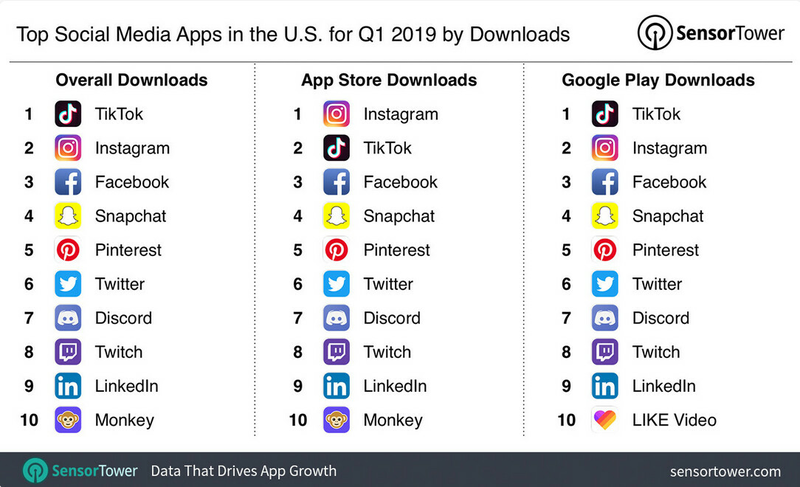 During the three months from January through March, TikTok was, as we said above, the most downloaded social media app in the U.S. It also was number one in that category among Android users installing the app from the Google Play Store, and number two among iOS users downloading it from the App Store. Instagram took the crown in the App Store, and was the second most downloaded social media app overall in the U.S. from January through March. Facebook was the third most installed app in the social media category on Android, iOS and overall during that three-month period. 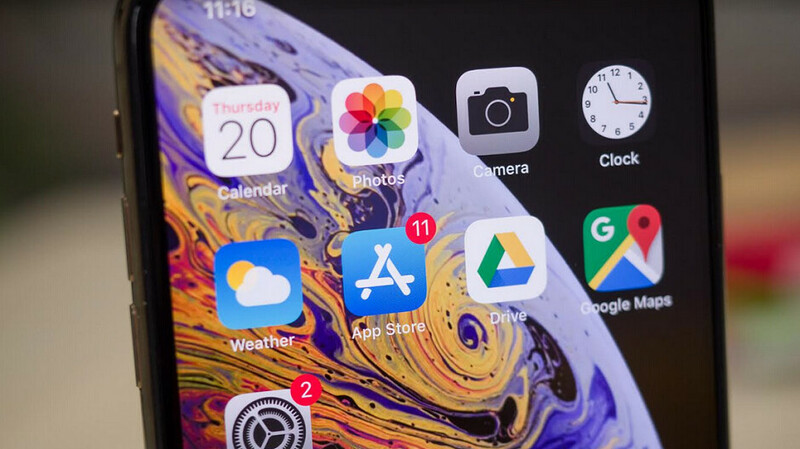 Besides Facebook at number three, the fourth through ninth most downloaded social media apps in the states during the first quarter were all the same on the Google Play Store, the Apple App Store and overall. They were Snapchat (4), Pinterest (5), Twitter (6), Discord (7), Twitch (8) and LinkedIn (9). If I'm not mistaken, Chinese companies are required by law to hand over some data to the government upon request. Saying no isn't quite an option and part of the reason Google was forced to leave. Yep, both Chinese organizations and citizens. But wait.. Does that mean Apple, Microsoft, AMD and Intel employees in development offices present in the country also have to give away information upon request? Yes.. Is that what media is saying? Nope... Because this is a propaganda campaign, where US.gov trying to save US companies that are far behind in development. Also.. Lets not forget. The only government that has been caught spying on all of its citizens/companies (foreign/non foreign) communication is US government. As an American, what would be better? To give your data to your own government or give it to hostile enemy nation? I mean apply some common sense at least. All that was required to destroy your lame logic were 2 lines. I'm not American... you failed! And how is it lame logic? The US Gov is practicing the same law as the Chinese, but moaning that the Chinese may do it. It's hypocracy at it's finest. Now ask yourself which country would use your data against you. The Chinese government or your own? Not blackmailed but used to pass more laws to control their citizens. Did you know that US government propaganda use against American citizens has been fully made legal? You should look into NSA's PRISM program and Shotgiant covert operation. All US companies are tools for the US to spy on domestic and foreign citizens and governments. TikTok is being banned in India too. Not just data security aspect, but it has various other major negatives as well. People have crazily invested in this platform. It's like their own mini world in there and everyone is vying for attention. But what does it get a user? Nothing other than total waste of time. People are making highly stupid videos. Such antics if done in normal world, people would laugh at them, mock them, but it gets views in TikTok. And then there is issue of Pedophiles looking for their targets in there. And this is an issue with TikTok worldwide. I believe this app needs to be banned everywhere ASAP! No you are just moaning because it's a Chinese app and as an Indian you tend to hate most things Chinese. By your logic they had better ban Facebook, YouTube, Instagram, Snapchat and every other app where images and video can be shared. Why wouldn't one hate China? Those bullies in day and thieves at night don't allow any other country's services and apps function in their own land but want to takeover every other market in the world. Why such hypocrisy? Now GTFO Chinese crap. Your closest ally right now is a terrorist nation Pakistan. While US, Japan, India, South Korea, Tibbet, Taiwan, Indonesia, Australia, Sri Lanka, Vietnam, Malaysia. Everyone close is troubled due to China. TikTok is also being banned because of adult content being spreaded on and everyone can easily access those adult content. Huawei has not been found guilty of commiting any crime in court. If the US actually had somethign on Huawei, in the 10 years they've been investigating them, they would have taken them to court right now. The US blocking Huawei is solely political. Everyone knows this. Because China business is better at business than US business. And the US is trying to block them. Huawei doesn't have security problems. EVERYONE DOES.